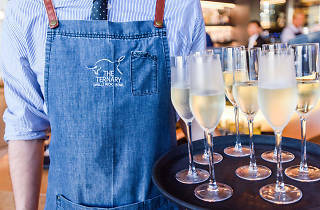 It’s not too late to book your Melbourne Cup lunch and The Ternary Restaurant at the Novotel Sydney on Darling Harbour, which boasts floor-to-ceiling views of the city skyline, has a premium four-hour cocktail package for just $135 per head. That includes Taittinger Champagne on arrival plus Evans & Tate wines and craft beers and canapés for the duration. The action from Flemington will be shown on big screens, and SmoothFM breakfast hosts Bogart Torelli and Glenn Daniel will be handing out sweeps and prizes including best fascinator and best tie. DJ Joan Dandy will spin the tunes, and there will be live cooking demonstrations across two open kitchens. 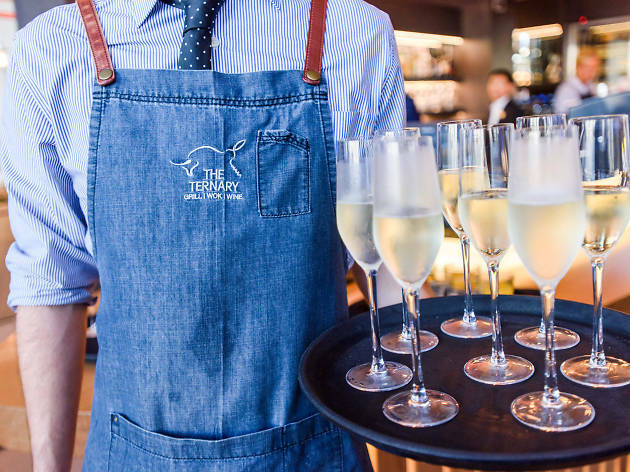 The fun starts at noon and goes till 4pm, but The Ternary Garden Bar will open at 3.30pm for those who wish to kick on into the evening. Before the race, two hours of free Wi-Fi will also make it possible for guests to place bets via to TAB app.